Polyurethane systems are the result of the reaction between two chemical components, isocyanate and polyol. 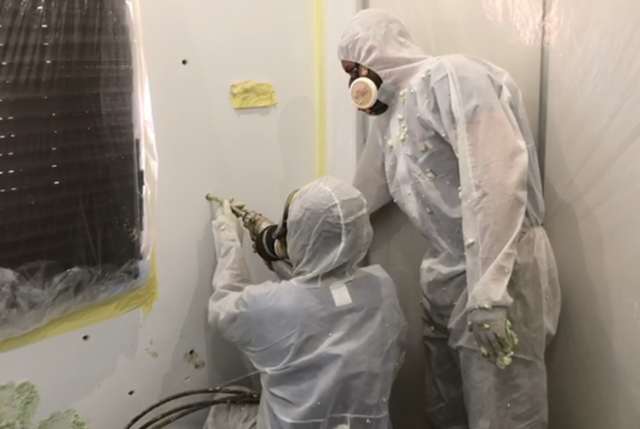 The best known applications of polyurethane are by projection (projected polyurethane or spray foam) and by injection, the one that concerns us in this article. 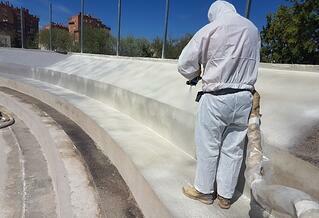 Injected polyurethane is applied in situ. The components are mixed directly on site and the mix is injected through a series of cavities into the building element that we want to insulate. Once injected, the foam expands resulting in a rigid and durable insulation system. Polyurethane foam has a very low thermal conductivity due to its cellular structure together with the gas retained between these cells. Thanks to this low thermal conductivity, injected polyurethane is an optimal thermal insulation material. That is why injected polyurethane is an excellent solution against extreme noises. In this case, it increases the acoustic insulation of the building for frequencies between 7 and 9 dB, while dampening the vibrations produced by sound waves. Closed cell injected polyurethane is one of the best materials to meet the degree of impermeability of façades established by regulations. 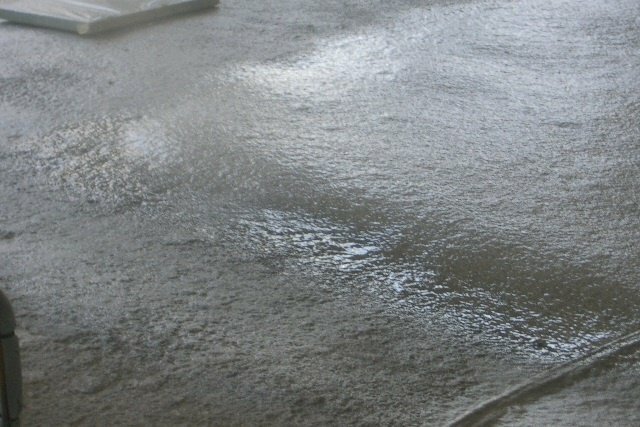 In addition, injected polyurethane also acts as a moisture regulating membrane, being waterproof and vapour permeable at the same time. The degree of permeability can be reduced by increasing the density of the foam and the content in closed cell, thus adapting to the climatic conditions of each area. Although many people may think otherwise, polyurethane is safe in all its applications. Polyurethane insulation systems manufactured by Synthesia Technology have obtained an Euroclass ranging from E to C, which certifies a range of good behavior against fire. On the other hand, insulation is only one of the parts of a constructive element (for example, of a façade), which means that the reaction against fire of the constructive assembly will depend also on other factors, such as the applied covering material. In addition to the fact that its use contributes to reduce energy consumption in buildings, polyurethane waste can be reused as a load in high density panels. Moreover, polyurethane systems made by Synthesia are free of CFCs and HCFCs, so they are 100% safe for the environment. Injected polyurethane has a high resistance against most chemicals. If we talk about materials used in construction, injected polyurethane can stand most of the strong mineral acids and solvents used. 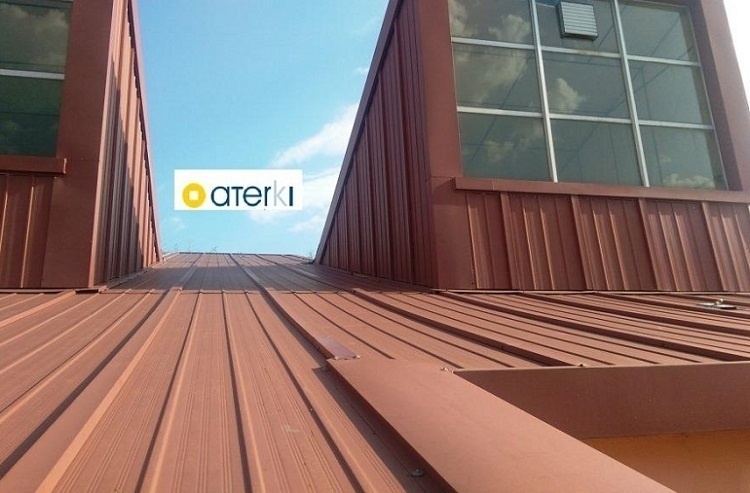 It is also resistant to mildew and to the action of roots, which makes it exceed the useful life of the building as it is a rot-proof material, stable against detritus, odorless and resistant even in the most aggressive industrial environment. Adhesion is one of the main competitive advantages of injected polyurethane compared to other insulating materials such as mineral wool, which can present settlements and detachments. Thanks to its physical properties, polyurethane foam completely adapts to the surface to be covered, creating a layer of continuous insulation, rigid and fully adhered to the walls of the element, without the need for auxiliary elements. 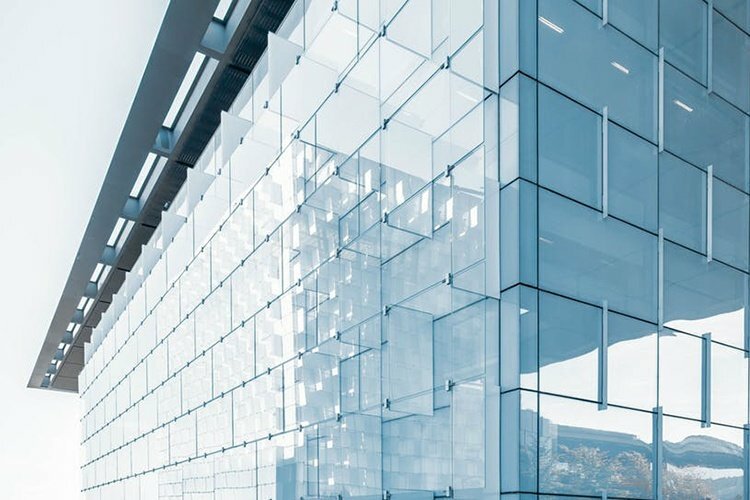 The most common application is the injection of polyurethane in the air gap of façades: with only a few holes, polyurethane foam is injected into the air gap and it expands reaching every corner, so that the wall is perfectly insulated and repaired. 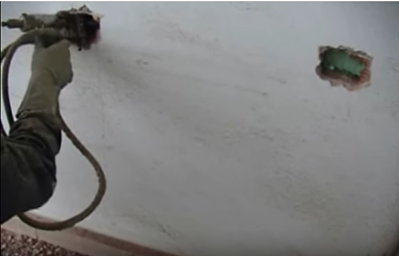 This function of "wall repairing" or stabilizer is due to the fact that polyurethane foam expands and gets into the cracks that have been caused over time.